"With violence, there is no freedom of expression." 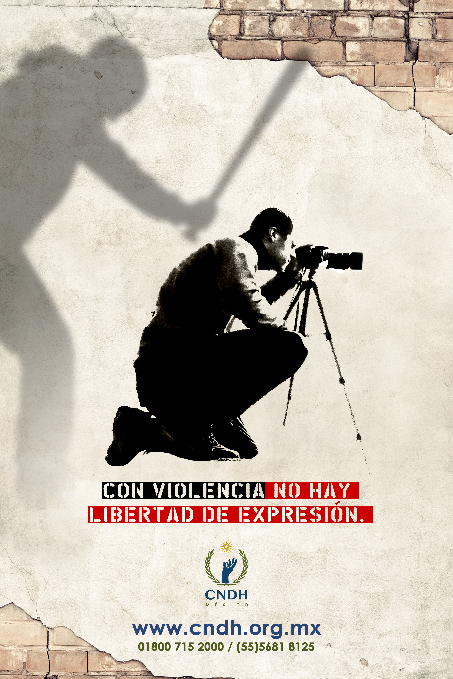 This is the name of the campaign launched by the Mexican National Human Rights Commission (CNDH, for its initials in Spanish) with the purpose of raising awareness about the risks faced by journalists, the importance that their work fulfills in society, the need for them to be protected, and the high rates of impunity in cases of violence against them. During a press conference to launch the campaign, which took place on Aug. 8, the president of the CNDH, Luis Raúl González Pérez, presented the campaign and said that the country "has an outstanding debt with the victims that can not be quantified or compensated "due to the high figures of impunity that have denied them "the truth, justice and reparation to which they are entitled," according to a statement from the institution. According to figures recorded by the CNDH, 138 murders of journalists have occurred in the country since 2000, while 21 communicators have disappeared since 2005, the statement added. Esteban Román, deputy director of Opinion for newspaper El Universal and who was also at the launch, said that "the campaign is very relevant" taking into account that citizens do not consider this issue as important. "Unfortunately the public, people do not take the issue of the risks against journalists, violence against journalists, crimes of which they are accused to intimidate them in their work, as a priority issue. The murders, not even the one of Javier Valdez that has been the best known, can be said to be among the 100 most read stories of the month," Román said. For Román it is important to sensitize the public about the role of journalists in a democracy and the problem that arises when they are not compensated. In fact, he noted as "emblematic" the case of journalist Lydia Cacho. The UN Human Rights Committee recently recognized the violation of her human rights. "There was never a vindication in the courts with our compañera [in Mexico]," he said. Balbina Flores, representative of Reporters Without Borders in Mexico, highlighted how women journalists are prone to a "more cruel" level of violence in the country. There are at least 15 women journalists who have been killed or are missing, she said. One of Flores’ criticisms was the lack of a "gender perspective" by prosecutors at the time of conducting investigations. She also criticized that the journalistic activity of the victims is not taken into account. 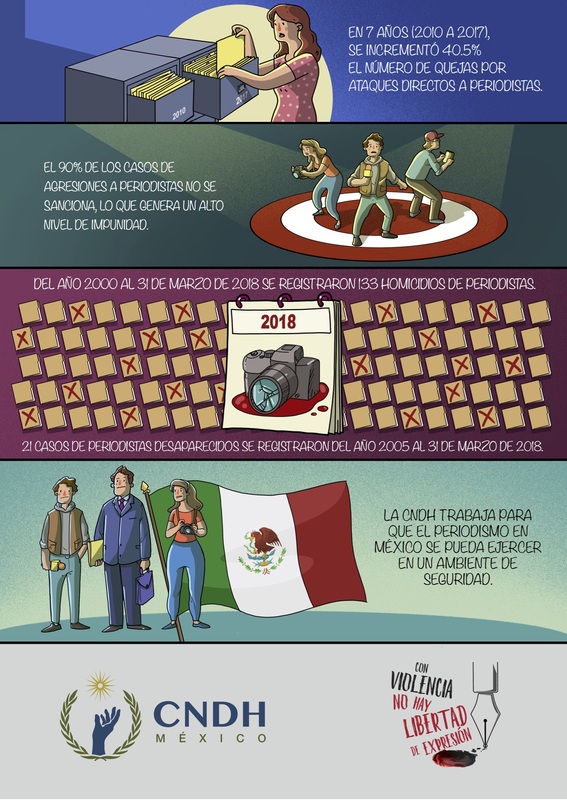 For Leopoldo Maldonado, deputy director of Article 19 Mexico, the most serious thing in the country is the normalization of violence "and in particular violence against journalists." He even said that there are cases in which victims believe it is normal to be attacked. Maldonado highlighted the different types of attacks against the press that are not only about assassinations - as the most extreme case of violence - but also include threats, use of criminal law, attacks through social networks, among others. "What [it] is trying to do is kill the truth. What it tries to do is that those who seek the truth are persecuted, persecuted, silenced in this way through legal and illegal methods,” Maldonado said. "This is the situation of freedom of expression in Mexico. And without truth, if we do not reach the truth about acts of corruption, of extreme violence, we will not reach peace." Gómez also called journalists’ attention to their need to approach society about the issue because, as she believes, it does not support communicators “because they do not identify us as part of its daily life.” For Gómez it is important to take this step so that society hurts when they hurt a journalist. The campaign has testimonial videos of journalists and their relatives who have been affected by carrying out their work, as well as radio spots that you can download from the CNDH’s specially designated page. It also has infographics and animations (GIFs).